Our team has a wealth of local knowledge and contacts in the Cheshire community. Whether you’re a new start-up or a small business, our team of marketing experts know how to deliver the right approach for you. Our Cheshire based digital marketing agency focuses on supporting entrepreneurs and small business owners. Our lightbulb moment came after speaking to small business owners who were struggling to find either the time to market themselves or affordable marketing support. We also discovered that there are many marketing agencies out there that were making false promises to small business owners and creating unrealistic expectations in order to secure their business – we pride ourselves on not being one of those agencies and have very honest and open relationships with our clients. In fact, we like to think that we are everything you would expect from a smaller, family-run marketing agency – accountable, autonomous, flexible and personable. Let’s see if we are the right fit for your business! Get in touch to schedule a free initial consultation. We’ll schedule either an in-person meeting or phone see if your project, budget and timeline are a good fit for our agency. After we’ve spoken, our team will spend the next few days putting together a proposal for your small business or start-up. We offer one-off projects and ongoing monthly retainers. Whether you’re a new business or one with an established brand, we strive to understand your business, audience, goals and identity so everything we do for you is a true extension of the brand you’re looking to build. We pride ourselves on customer service, so you’ll never be in the dark about the status of your project. We will meet with you monthly if you’re a monthly client to review the status of your campaigns. We’ll liaise with you to make sure everything is just right. Then, brands will be created, websites will be built, marketing collateral will be designed, and strategies will be put into action. We continually analyse the performance of the campaign and share monthly reports. We work with our clients in a transparent and collaborative way, sharing results, insights and feedback. 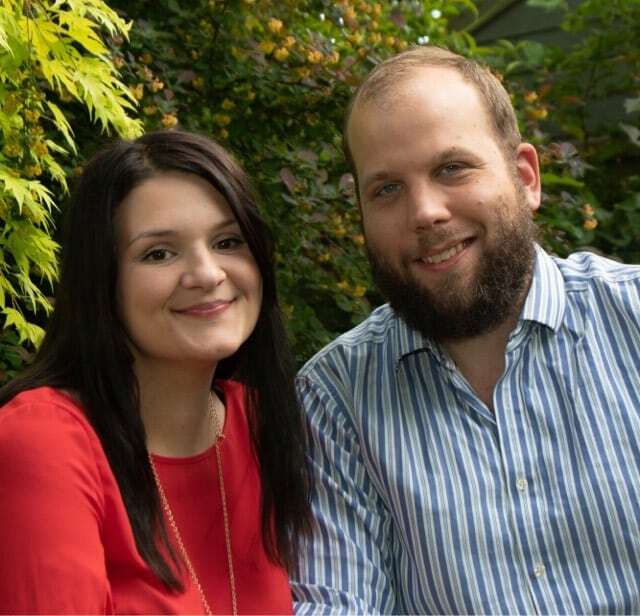 Darren & Rhiannon founded Cheshire Cat Marketing in early 2018. The pair had previously worked together at a Tech Start-Up in the beautiful city of Birmingham, where they discovered they made an unstoppable team. As time passed they realised, over their love of marketing. food and all things Sci-Fi, that not only did they make them an epic partnership in business but also in life. As time went by they fell in love and Darren decided to relocate from the city to the North West to live with Rhiannon in the sleepy village of Moulton, near Northwich (not far from Liverpool, Manchester & Chester). One day they were out with their kids at a food fair and after speaking with several of the stall owners they discovered that very few of them had any online presence – No website, lack of social media presence & not communicating either current or future customers through email marketing. Darren and Rhiannon had a light bulb moment. These businesses were not reaching their potential as the owners were unsure how best to market themselves and unable to hire a dedicated marketing employee or justify high-cost agencies fees. After some research, they discovered there were no marketing agencies specifically catering for small businesses and start-Ups. The only agencies out there cost big bucks and were for big clients. They decided to build a digital marketing agency in Cheshire that would only cater to SMEs and Start-Ups, letting them use combined experience in small businesses to help budding entrepreneurs grow. And so their quest to offer wallet-friendly marketing began, the Cheshire Cat Marketing Agency was born and the small businesses of the world celebrated. We offer flexible, affordable digital marketing support for small businesses. We work with clients across Chester, Northwich, Warrington, Sandbach, Chester, Knutsford and Middlewich.